What’s a clever pilot to do then? 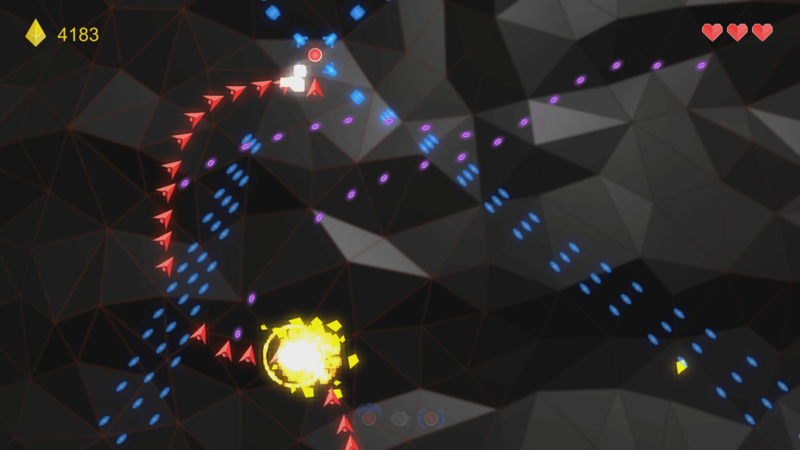 Why, spin and spin and spin some more, of course, ensuring bullets – and enemies – only make contact with shielded sides! Oh, and to top off the good stuff, several different firing modes are available, ensuring there’ll always be more than enough destructive power to go around. Power which you’ll surely need as enemies are fast and furious with a trigger finger almost as itchy as yours. Whether you’re blasting in four different directions at once, left/right or up/down (depending on current rotation), or simply going crazy with a super strong single-direction beam, so long as you’re hitting something, you’re doing good. And your score will reflect on this too, provided you manage to snag those juicy yellow bits fallen foes leave behind in Core. Otherwise… no points for you! Next! Core is available from itch.io, for free.